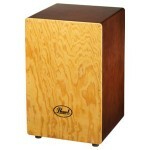 Ideal for beginners and students, or use it as your "grab'n'go" Cajon, the Fiesta Cajon is a great-sounding, quality instrument at a smart price. With MDF shell/Maple front panel construction and internal snare wires, authentic Spanish Flamenco tones are a snap to achieve. 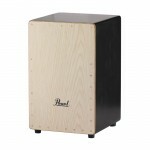 The Pearl Primero Box Cajon PBC507 has fixed snares and is constructed from Asiatic Pine. 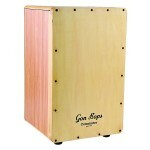 It is ideal for flamenco-style performance and general purpose playing. Good range and nice projection. Finish color is gypsy brown. A travel bag is available. 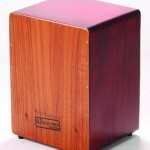 A different take on the Box Cajon, this instrument can be played like traditional Bongos and features a distinctive Macho-and Embra-type sound. 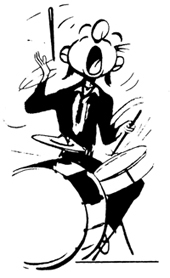 Bongo Cajons have a loud slap and can be used for a variety of musical applications. Includes free bag. 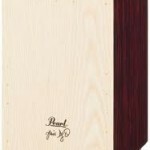 Authentic Spanish-style, Peruvian-built Flamenco Cajon features select lightweight wood construction and internal steel wires for traditional Flamenco snare sound. A seating pad is included for comfort. Includes free bag. Authentically Peruvian! Mohena hardwood construction, meticulously dovetailed corners and pristine lacquer finish all add up to a quality instrument. Partially-sealed front panel design results in louder, tighter bass and plenty of high-end "pop". The matte-finish faceplate is built to Alex's specification. Hand made in Peru, each quality instrument is meticulously tested before it ships, resulting in a superb Cajon that is built to last! 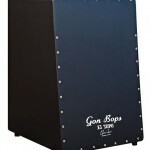 This cajon comes with a free gig bag!! 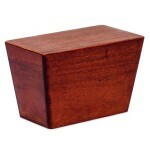 Jesus Diaz helped design this very impressive cajon. It has fixed snares, Rosewood finish, and a slightly contoured edge. The radial edge makes for a more comfortable playing surface. This is a very traditional, warm sounding instrument. Carrying Case additional.